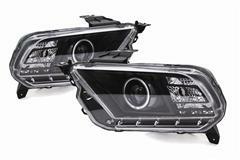 When it comes to buying new Ford Mustang headlights, Late Model Restoration has a huge variety of styles to choose from. 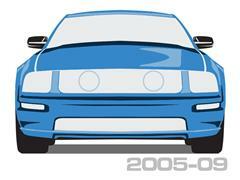 Whether you have a Fox Body, SN-95, New Edge, or S197, we have the perfect headlight kit for you. Get your Mustang restored and looking brand new with a set of factory style replacement headlights offered individually or as headlight kits. Want a custom look? 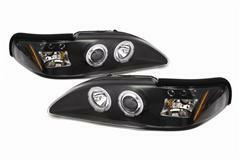 We have a huge selection of aftermarket head lights that will make your Stang stand out from the crowd. Take your pick from clear, ultra clear, black, smoked, one piece, projector, and halo headlights for a unique look. 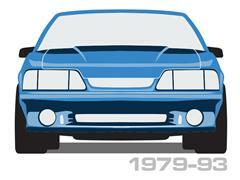 Our 1979-1993 Mustang headlight kits can easily bring your Fox Body back to life. These economy and deluxe kits are offered with amber or clear side markers to get the perfect look on your Mustang. 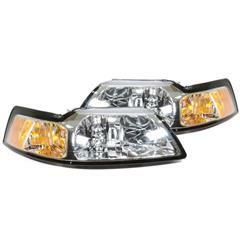 Choose a one piece headlight kit to give your fox show winning looks. Switching to a set of projector lights on your Stang increases light output, allowing for more night time visibility. 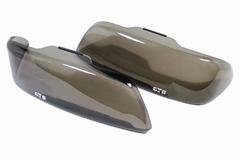 Protect those new lights with a set of headlight covers! These smoked covers not only give your Mustang an aggressive look, they can keep your lights safe from road debris, sun fade, and scratches. 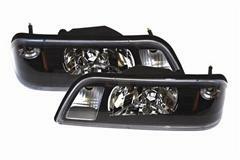 Pick up your new Ford Mustang headlights at Late Model Restoration and have your Mustang looking great! 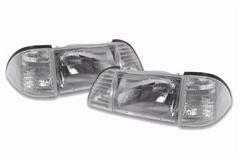 These Mustang Headlights Fit: 1979, 1980, 1981, 1982, 1983, 1984, 1985, 1986, 1987, 1988, 1989, 1990, 1991, 1992, 1993, 1994, 1995, 1996, 1997, 1998, 1999, 2000, 2001, 2002, 2003, 2004, 2005, 2006, 2007, 2008, 2009, 2010, 2011, 2012, 2013, and 2014 Mustangs. Not only does it look shabby running around town with faded and dingy headlights but it's also a safety hazard. 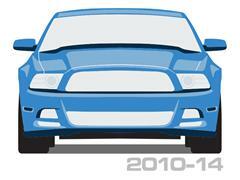 You would be amazed how big of a difference new headlights will make in the night time visibility department! 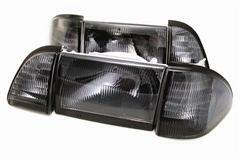 Imagine you are cruising down a country road late a night with a set of worn out headlights when a deer jumps out in front on you; wouldn't you rather be equipped with a brand new shiny set of headlights from Late Model Restoration Supply? Although the manufacturer does not always warranty their products, we do! 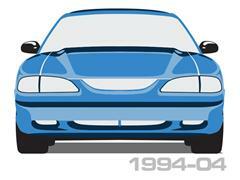 If you consider buying lights from Latemodel Restoration Supply you can be assured that we will stand behind them! We only use the best possible manufacturers when selecting our products. We have heard of other companies telling their customers to bake their lights in an oven or run silicone around the seams to fix or prevent leak issues. Not here! If for some reason there is a defective light assembly we will simply replace it, no questions asked, for 1 year from the date of purchase. Not only do we like to offer our customers the best value, we back it up with the best service!